Why one woman chose senior living over moving in with her kids. Life has presented Edeltraut Schober with character-testing challenges, but many joyful experiences, too. 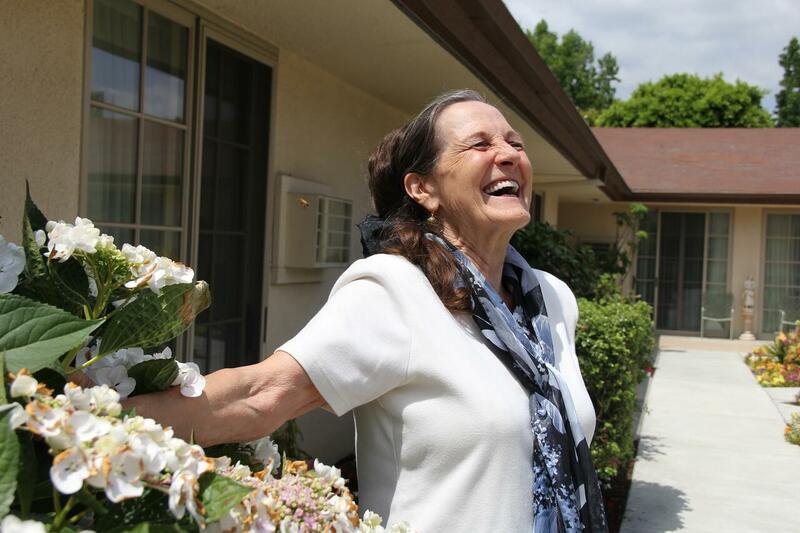 As a young couple, she and her husband emigrated from Austria, settling in California. She lived in the family home for 30 years, and for several years after her husband passed away in 1998. The upkeep and expense became difficult for her to manage and, although she’s in good health, two falls precipitated her decision to find a new living option. Schober’s daughter, an opera singer, asked her mother to move into her nearby home, but Schober declined. Her son, a classical pianist and university professor, also offered space in his New York home, but it didn’t feel right to Schober. While she appreciated the kindness and generosity of her children, Schober began exploring senior living options. What if, like Schober, your child suggests you move in with them and you feel ambivalent or even resistant? Sometimes a room of your own inside someone else’s home—even a loved one’s—just isn’t the right emotional and psychological fit. For Schober, a desire to be safe and not be a burden was at the center of her choice. For other seniors, family roles, identity and underlying relationships between adult children and parents often come into play. If you’re self-sufficient and independent, it may feel like you’ll lose that part of your identity if you move in with your kids. Deborah Heiser, PhD, an applied developmental psychologist with a specialty in aging, views aging within a transitional life-stage framework. Talking about your feelings regarding the changing roles can help reduce tension and make the transition smoother for everyone “Many children and older adults have preconceived notions about what life should be like for a senior,” Heiser says. Schober ultimately chose Windsor, a HumanGood senior living community in Glendale, California. The availability of additional care if she ever needs it was part of the appeal. “I wanted to live where if anything—from something minor to something drastic—changed with me, I would be taken care of,” she says. Choosing a senior living community over the in-law apartment allowed Schober to begin building a new social life and keep her good relationships with her kids from stumbling into role reversal. While she has long since settled into her Windsor home and become an active community member, her transition to senior living—selling her home and moving away from old friends—wasn’t always easy.